Tri-Imaging Solutions is a fresh, innovative, and ambitious company. 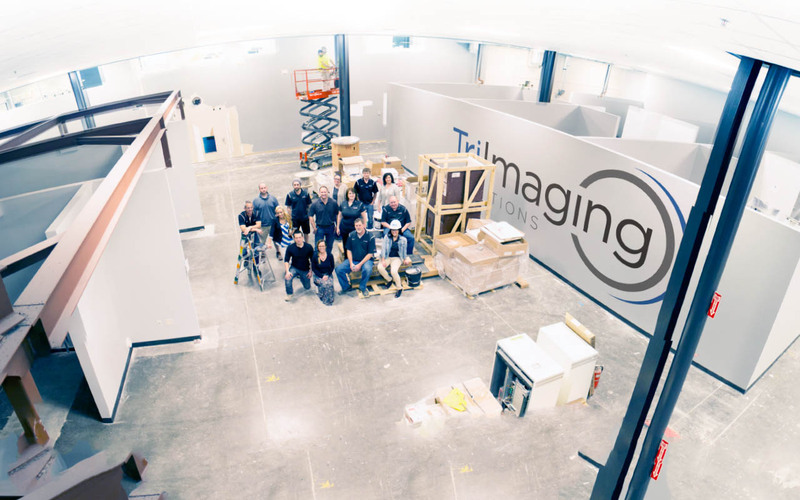 Tri-Imaging just celebrated its third year with a new state-of-the-art facility to accommodate the company’s exponential growth. Tri-Imaging Solutions is a training institution and a parts company. It is not a parts company that offers training – it is much more. “Tri-Imaging Solutions is a diagnostic imaging support company providing replacement parts, equipment, service support, and technical training”, explains President Eric Wright. “It is no surprise that statistically a large percentage of the current service engineers are close to retirement and will be leaving a large gap in the seasoned skills available to help guide those entering the profession. Our strategic approach grew from this and John Drew has been diligently working on rolling out a completely new way to train.” Wright adds. Adding Kim Presley, another notable industry expert, made perfect sense to drive development, enrollment and awareness of Tri-Imaging Solution’s new programs. “I didn’t think twice about jumping at the opportunity to join this exceptional team that has repeatedly proven their integrity and focus on not just quality products but also an emphasis on quality people,” Presley says. Satisfaction is the goal. Each and every order is unique. “Taking care of Customers is my passion and why I joined the Tri-Imaging family,” she adds. Tri-Imaging Solutions’ strength comes from over 200 years combined experience equating to a true average of over 12 years per person on its efficient team! This experience is evident at every level of the company from leadership to sales to Customer care to logistics and throughout the entire team. Tri-Imaging Solutions is an independently owned company serving the diagnostic imaging market. Hi-Intensity Tri-Imaging Training (HITT): HITT reduces the gap between training and real world service. This is the latest addition to our unique and intuitive training program. Blended Learning: Similar to today’s college courses, we combine an online learning platform with extensive laboratory time at its Nashville, Tennessee facility. This approach reduces time away from your facility without compromising the quality and effectiveness of the training. Tri-Imaging Solutions strives to live up to its name and be a Solution for its Customers while at the same time Empowering the Engineer. TechNation is the primary monthly magazine and ultimate resource guide for over 12,000 medical equipment service professionals. It's diverse editorial and information helps Biomeds/CE, Imaging and I.T. professionals keep their finger on the pulse of the healthcare technology community, helping advance their careers and further their profession. © 2018, TechNation Magazine. Site designed by MD Publishing, Inc.